Liver of Sulphur is used to achieve an antique look or a patina on metal which can be black or a range of colours. The silver reacts chemically with the Sulphur, which changes its colour as it oxidises, until it eventually turns black. This is a very similar process to when Silver tarnishes but speeded up. LOS is excellent for use on textured surfaces, as it enhances the difference between the raised and the lowered parts of the texture and makes subtle patterns more visible. 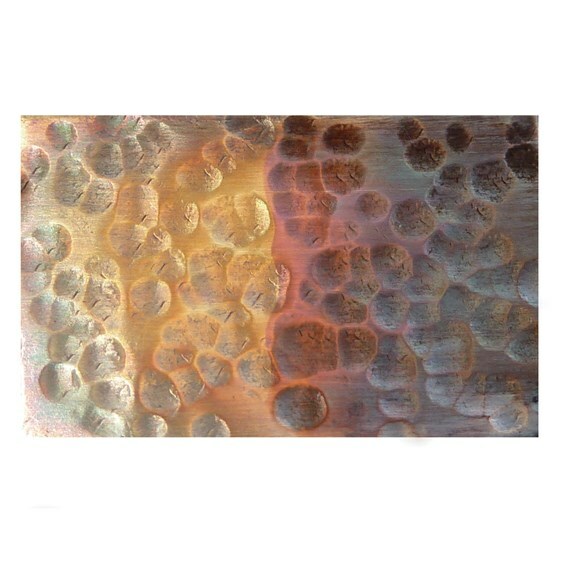 It can be used on copper, bronze, sterling silver, metal clays (PMC & Art Clay) & after a little surface preparation work, brass & gold too (see below). On this page we give instructions, tip and advice on using Liver of Sulphur to create black and coloured patina. After experimenting with this amazing process ourselves we were really happy with the results! It's a great way to create a completely unique and intriguing designs. In all cases, your jewellery piece should be finished (brushed, burnished or polished) and clean before applying the Liver of Sulphur. 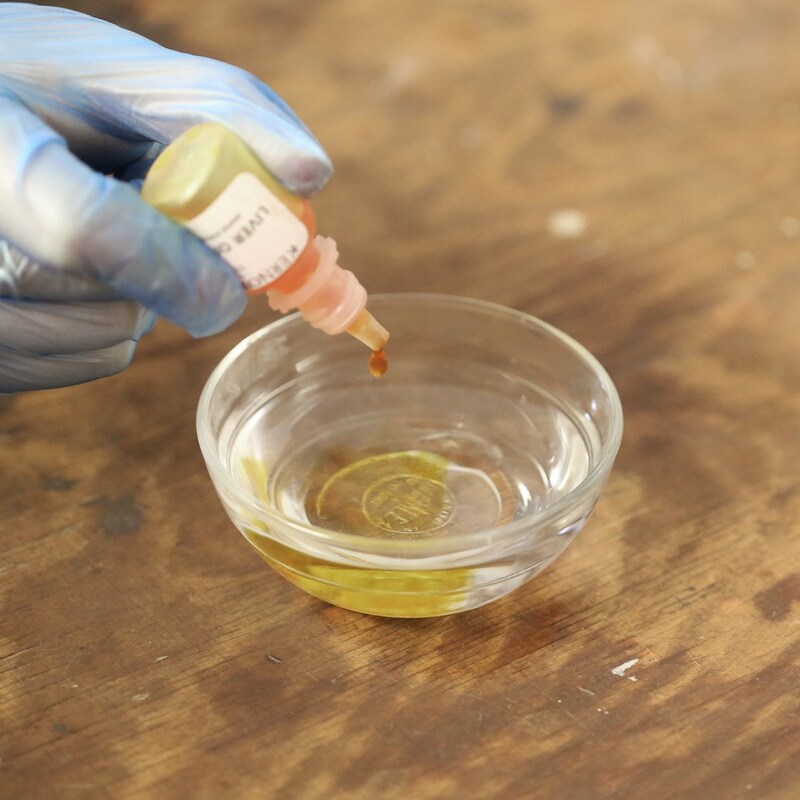 If you think there may be traces of polish or grease on your piece, mix a teaspoon of bicarbonate of soda with a few drops of water into a paste and clean it with this. Wear rubber gloves when using LOS to protect your hands (mainly from the smell!). You can use stainless steel or plastic tweezers to insert and remove your items from the LOS solution. Always use LOS diluted – mix it in a stainless steel, plastic, ceramic or glass container. Drop about 10 drops of LOS into about half a mug of hot (not boiling) water. Swirl the liquid around with plastic tweezers or something similar. If your LOS is freshly mixed, it should turn black in a matter of seconds. If your mixture is week or so old, it will take longer. If you want to speed up the process further, heat your piece with a hair dryer or hot water before dipping. Rinse the piece well in clean water when the desired depth of colour is achieved. You can obtain a beautiful range of colours with Liver of Sulphur – gold, copper, purple, blue and blue-grey before the metal turns black. Use the same amount of LOS but mix it with cold water and don’t heat your piece first. This will slow down the process so you can stop when you achieve the desired colour. Dip and remove the piece quickly and rinse with cold water immediately. Repeat this process until you are happy with the colour. 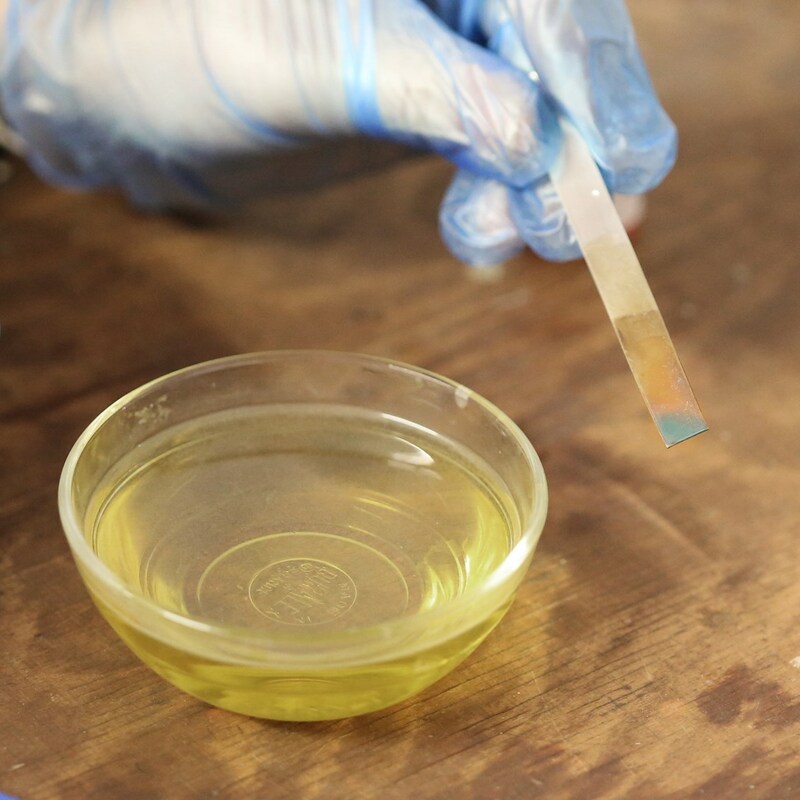 Experiment with the temperature of the water, amount of LOS or by adding a drop of household ammonia or some salt which can give you more vibrant colours. 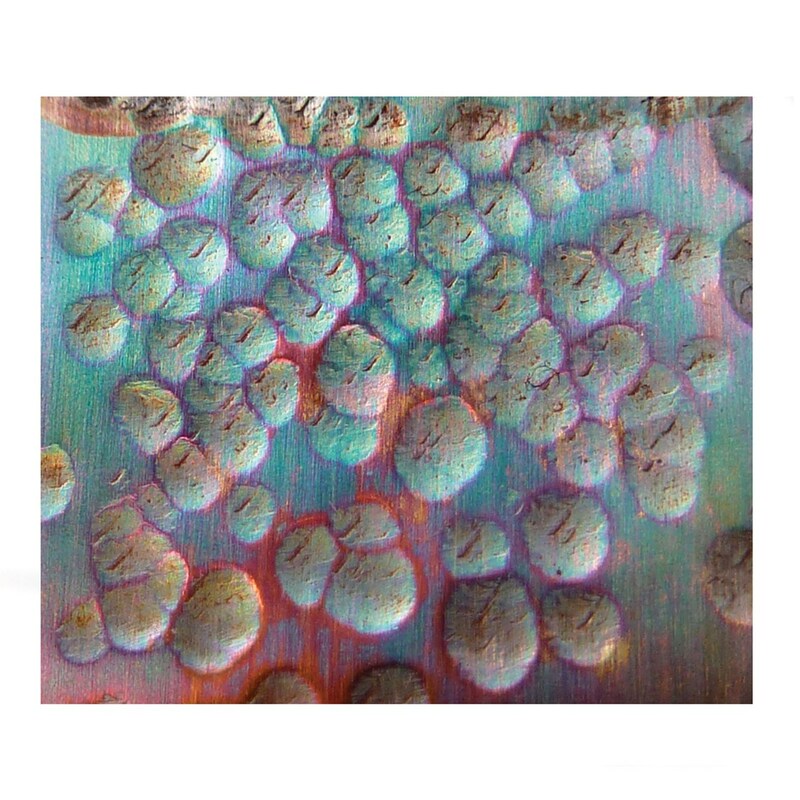 LOS can be applied with a brush if you only want to oxidise certain parts of the piece. Paint it onto the parts you want and try layering it by applying it several times or, for a more random effect or varying colours, let it splash or drip (carefully) from the brush. 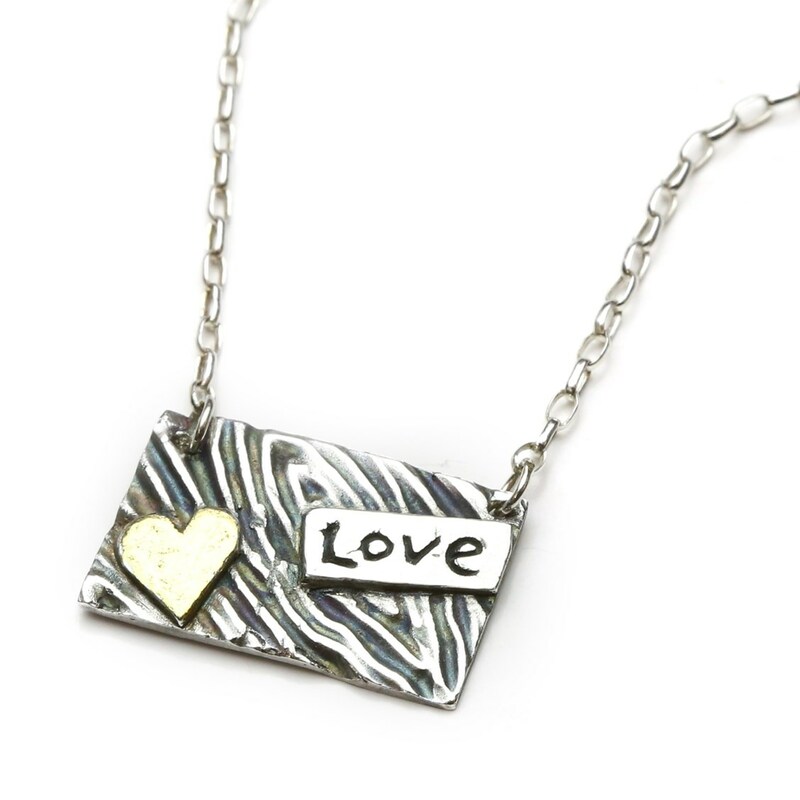 When you have achieved the colour you want you can gently polish your design using a jewellery cloth to remove the patina from certain areas and bring out lovely silver highlights. It is important to be careful when polishing your design as it is possible to polish off the patina completely, although the darker the colour, the more difficult it is to remove. If you are completely unhappy with the results, you can remove the patina by heating your piece with a torch or kiln (if your piece is PMC, heat until it glows orange and then cools to a white colour and re-polish; if it is Sterling Silver you may need to pickle it after heating to remove any fire stain). You can now start the process all over again if you wish. 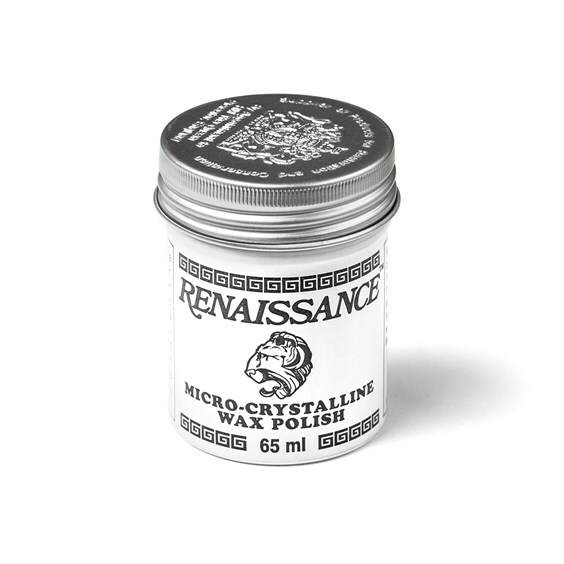 This popular conservation wax polish can be used to preserve your patina effectively. 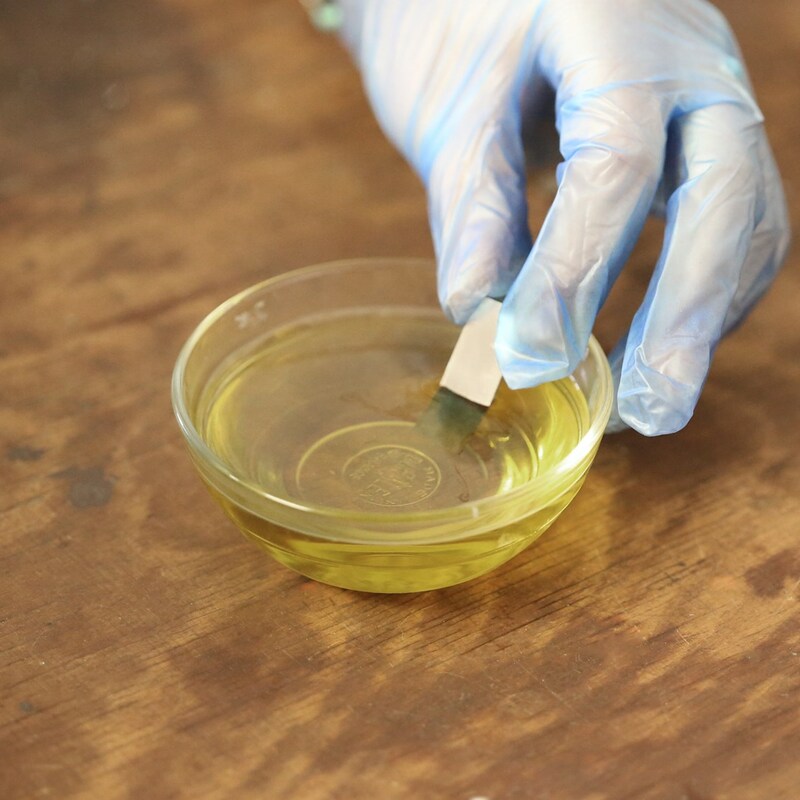 Simply apply a thin layer, rub out to a full lustre, revealing a clear film and avoiding any further effect to the surface. It creates the perfect protection of your patina, and avoids tarnishing and oxidisation. 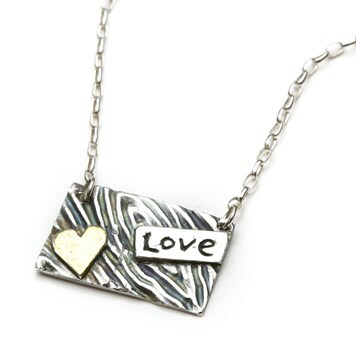 It can also be used to finish polymer clay, wood and ceramics. Midas finish is another way to protect patinas and is also a transparent solution, which works at protecting your jewellery. 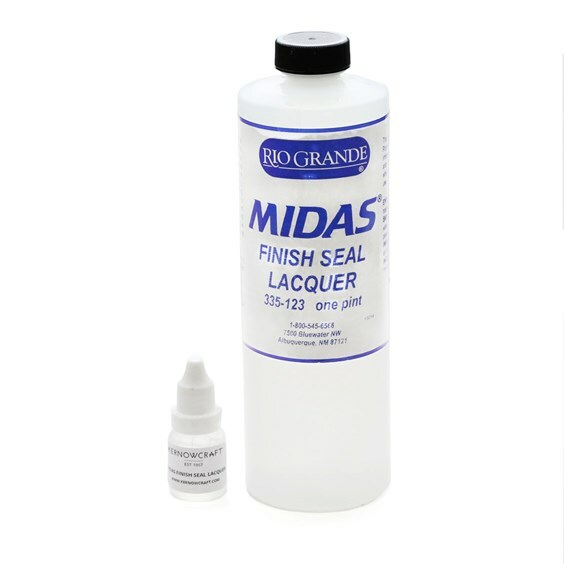 Use Midas to avoid tarnishing on metals such as brass and copper, while also maintaining patinas. For any further advice regarding the contents on this page or for any other general jewellery making enquires, please feel free to get in touch, we would love to hear from you. Share your makes with us on social media! 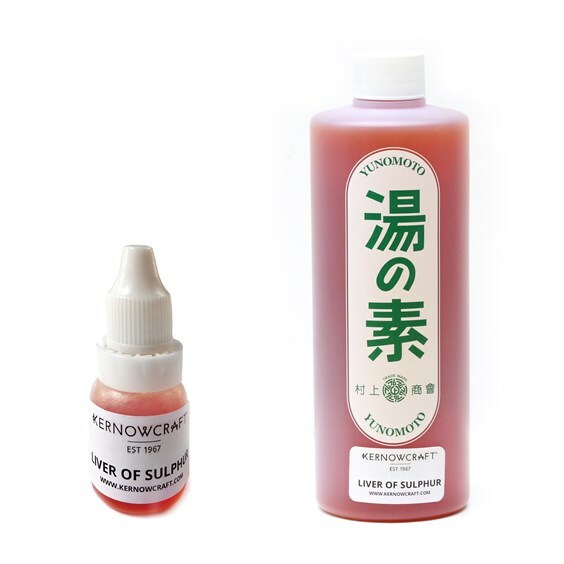 We would love to see your creations and experiments using Liver of Sulphur - don't forget to tag us!